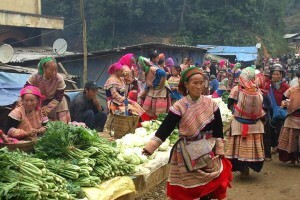 Locating in Lao Cai province, Lung Khau Nhin market is a small market hiding itself amongst the mountains and forests of the far north Vietnam about 10 km from the border with China. It is almost untouched by the modern life with beautiful scenery, with Pine Tree forests and villages surrounding the tiny market. Every Thursday, Lung Khau Nhin market will offer you a great opportunity to meet the Nung, Flower H’mong, Black Dao, Tu Di and Giay minorities. 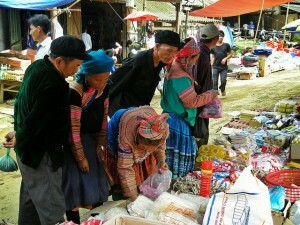 Lung Khau Nhin Market is one of the famous ancient markets of Lao Cai province. Like other fairs, Lung Khau Nhin has vibrant color of the dresses, blankets, green cabbage and yellow citrus. The main road that runs through the market, people sell fruit and vegetables, pots and personal items. From the main road turn to market is place that people sell dresses, brocade and blankets… After that, visitors come to sell livestock such as: pigs, chickens, dogs and cats… Walk from secti on to sections, corner to corners, seeing and smelling of different local products such as spices; vegetable; farming tools; handicraft; and even medicinal herb…, meeting smiling peoples every where. 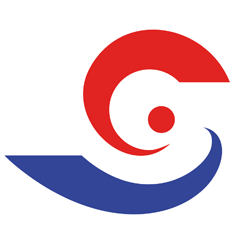 The people who sell goods come from all ethnic H’Mong, Nung, Man, Kinh… but the number of people can not speak mandarin fluently. Honeymoon in Sapa – What to See and Where to Stay?